Who Needs a Cohabitation Agreement? How does the process of getting a cohabitation agreement work? For our silver package we use a simple 3-step process to help you get your cohabitation agreement quickly and easily. Step 1 – You Complete a Questionnaire. There is a fair bit of information we need to get started – we need to know in great detail what your financial situation is, what your fiance(e)’s financial situation is, what your goals are for the cohabitation agreement, what you and your partner have agreed do, previous marriages, children, and so on. To gather this information efficiently, we’ve put together a comprehensive questionnaire. We can email this to you to be completed and returned to us, or alternatively, we can go through the questionnaire with you over the telephone. Don’t worry about not knowing the answers to everything in the questionnaire – just do the best you can as we will review your answers in detail and discuss them with you. Feel free to add any additional notes. Once we’ve reviewed your completed questionnaire, we telephone you to discuss all the information you provided. We ask any follow up questions or clarify anything that is unclear. We discuss what the law is, how it applies to your situation, and how the cohabitation agreement will impact your rights and obligations. After this discussion you’ll understand your legal situation and we will understand what you want in your cohabitation agreement. We are then ready to draft your cohabitation agreement. Normally we are able to do this within 2 business days. Once your cohabitation agreement is drafted, we will email it to you for review. We include a detailed cover letter explaining the legalese in layman’s terms, so that you understand the agreement. If you have any questions, or would like any changes, just let us know, and we will answer your questions and make the requested changes. Once we are both satisfied with the draft of your cohabitation agreement, we give this either to your partner or their lawyer so that they can review it. We strongly recommend – for your protection – that your fiance(e) also have a lawyer for this process. The reason for this is that it prevents claims down the line that they did not understand the agreement, they did not understand their legal rights, or they were pressured into signing the cohabitation agreement. 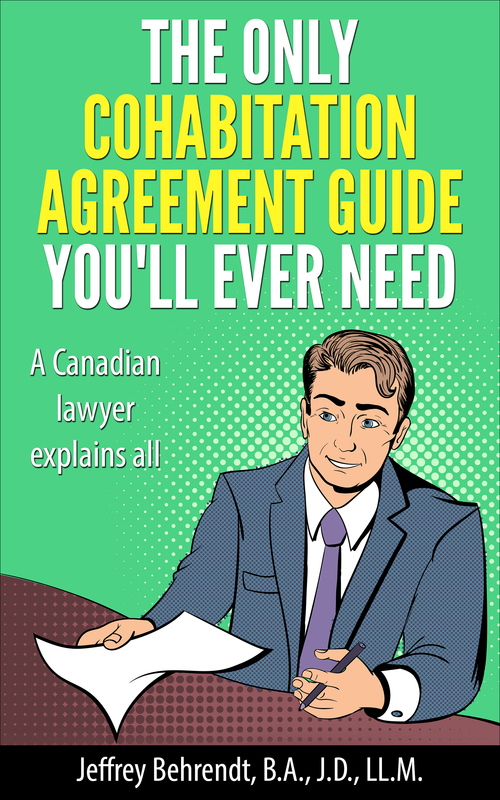 Your partner then reviews the agreement with their lawyer, who explains it to them and makes sure that they understand it, their legal rights and obligations, and how the cohabitation agreement impacts their rights and obligations. If after this you and your partner agree to make some changes to the agreement, let us know and we will make the changes. Once your partner is satisfied with everything, we finalize the cohabitation agreement. We send you the finalized agreement with signing instructions. We are here to help you every step of the way. The silver and gold packages include unlimited email and telephone support. We are normally able to answer emails and telephone calls the same business day. So if you have any questions along the way let us know and we will respond promptly.